Dextar World Trade L.L.C. is one of most unique wholesale distributor and marketer of aftermarket automotive parts and accessories in the world. We are able to offer Original Equipment Parts from all the largest automotive parts manufacturers and we are able to offer a large selection of aftermarket products from all over the world. Our Customers have a Global reach and a Domestic Influence. They are large and small and each have unique needs that need to be met in order to compete in the challenging world of marketing and selling automotive parts. Our goal is simple - to provide our customers with the products and services to effectively compete in today's ever-changing marketplace, which also includes our Domestic Fleet Program. 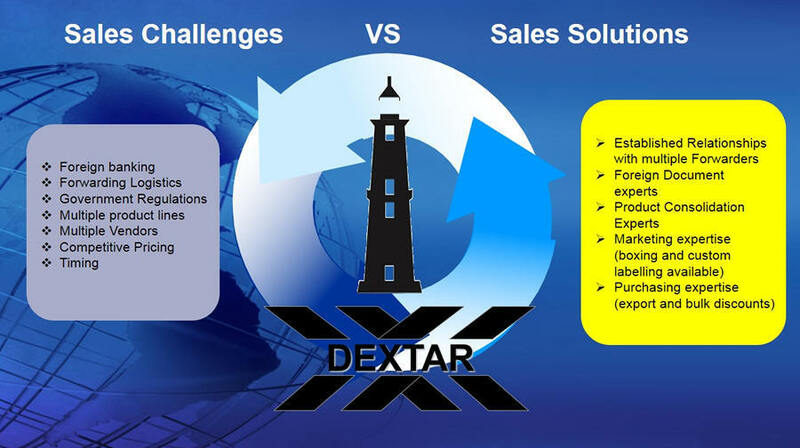 Dextar World Trade © 2014.